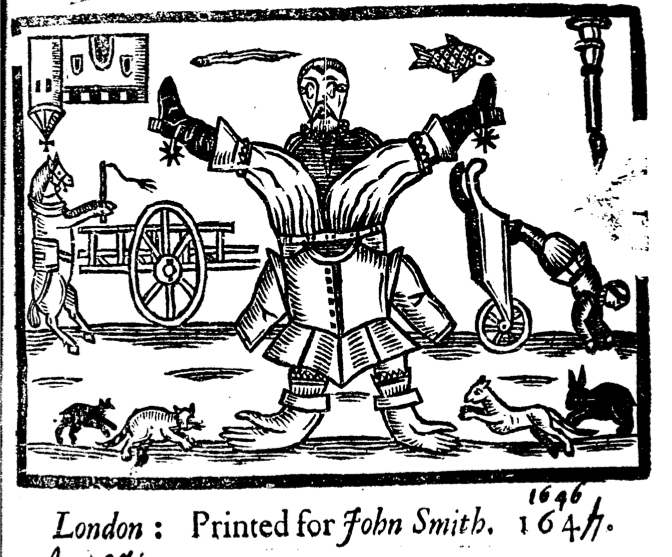 The classic picture from 1646/7 (notice George Thomason’s correction) that demonstrates the discom-knocker-ation caused by the civil war, cats chasing dogs, carts set befors horses and a poor fellow who got dressed in the dark! Good quality tabbed doublet and, what I suspect, though it’s difficult to see in the woodcut, is a doublet waistband with hooks to affix to his doublet girdlestead. He may also possibly be wearing a shirt with a small attached falling band.